MIPS Technologies, one of the leading provider of the processor architecture and cores that power products from home entertainment, communications, networking to portable multimedia devices, has announced a line-up of demonstrations, partnerships and technologies aimed at making Android a viable platform for digital home devices such as set-top boxes, Blu-ray Disc players, DTVs and VoIP solutions. We are already aware that Android is likely to enter our home as the back-end software running our appliances but it would be more interesting to see the development of Android on MIPS as it would let Android drives more “home entertainment” appliances. 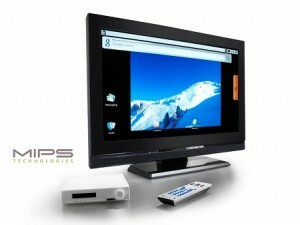 During CES, Western Mediabridge Inc. and Sigma Designs will demonstrate the first Android set-top box. The MIPS-Based STB features video-on-demand, ThinkFree Office (Word, Spreadsheet, Presentation) viewer software, web browser, remote control/keyboard interface and 1080p video quality. “With Sigma Designs’ and MIPS Technologies’ industry-leading performance and Android’s open and flexible platform, our Android-based STB is one of the most innovative STB solutions in the market. We anticipate there will be a lot of Android-based products and applications in the near future which will be connected to each other. Our belief is that the Android set-top box will be positioned as a main device among in-home Android-based multimedia devices. We will continue to add more applications, making a more feature-rich Android set-top box,” said Ernest Bang, president and CEO of Western Mediabridge Inc.
MIPS will also demonstrate a prototype of an Android-based IPTV set-top box developed by KDDI R&D Labs. Inc., it will support IPTV set-top box functionality such as multicasting, video-on-demand (VOD), remote control user interface, and digital rights management (DRM) requirements. The later is, obviously, very important to get content from the music and film industries. Also, MIPS will also demonstrate the Lemote YeeLoong8089 (some renaming should be done before releasing to Western markets! ), a 8.9″ netbook computer running Android. 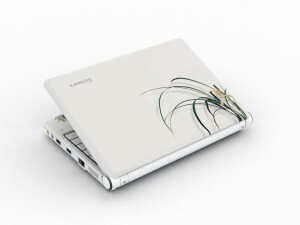 According to Lemote, the YeeLoong8089, powered by a MIPS-Based Loongson processor, is “the world’s first laptop that contains completely free software“. Finally to complete the line-up, MIPS will demonstrate ConnecTV, a new licensable software solution from Home Jinni Inc., billed as the the world’s first social media center for Android-based embedded platforms. ConnecTV enables consumers to search, discover, categorize and enjoy online media content directly from a TV, and to communicate and share with friends from the comfort of their living room. It also enables control and distribution of media content throughout the home. Android will be more and more present in devices other than phones and rather than a fragmentation of the market that few fear, we might see the birth of a real ecosystem where all these devices will be communicating and sharing contents. The future looks great!